A few years ago I was reading a novel where the author drew this image of flying in a plane over hundreds of Turkish carpets, laid end to end in a field. In the story, the carpets had been soaked on the ship on their way to the U.S., so they were drying in the sunshine. Perhaps it was the prose of the author. Perhaps it was the image that rose in my minds eye. Whatever it was, I had this revelation about the nature of beauty. It made me think of the quotation from John Keats, "Beauty is truth, truth beauty - that is all ye know on earth, and all ye need to know." Truth was never much of a problem for me. My parents made sure of that. When my father asked a question, you tried not to even exaggerate or leave anything out. His question demanded a straight-out story, no deviations from the truth. And my mother, honestly, along with having an eye in the back of her head, she could just look at me and melt my made-up story and start the tears and a complete confession. Then, of course, there was Gandhi. I was introduced to him and his Truth on my first trip to India in 1977. 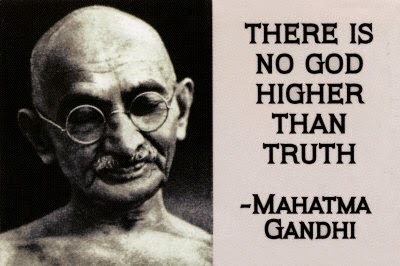 For Gandhi, "Truth was God." One has to understand the Sanskrit language Gandhi used to understand this concept. In Sanskrit, "satya," the word for Truth, incorporates "sat," the word for Being. This isn't just any being, this is the Big Being, with a capitol B. So with Gandhi, truth went from something one told his parents to a conception of what governs the universe. When Gandhi coined the word satyagraha as his method of combatting violence, he was countering military and physical force with the force of universal Truth. In a terribly limp English translation, we have called this force nonviolence, sometimes "truth force" or "soul force." My appreciation of beauty has come slower. Of course, I was usually able to appreciate beauty in people; not just the outside physical appearance but the inner grace as well. But the beauty of objects generally escaped me, distracted as I was by a vocation that focused on the human and spiritual side of life. Or perhaps it's partly a male thing. I've never been very color conscious. My wife has to tell me, "you can't wear that shirt with those pants." In buying a new car my first question is not, "what colors do you have." I think other men have a similar problem, from what I've heard from wives. But then a male friend of mine, after recovering from a heart attack, talked to me about color. He said all of the colors were brighter now than they had ever been before in his life. He was noticing! There was subtle variation that had escaped him before and sometimes a brightness that was profound. I wanted to see what he was seeing, so I started to look more closely. 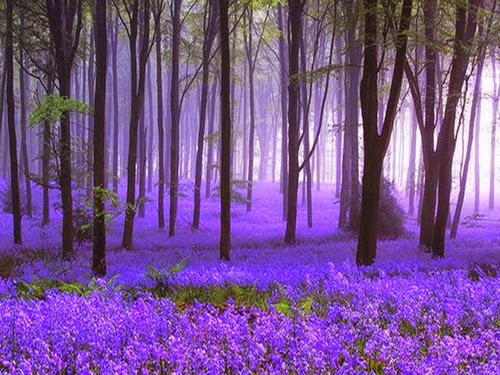 Color is one pathway to beauty. There's a new awareness of the changing colors in the cardinal family in our back yard and the subtle change in the sunlight through our southern windows. There's beauty all around if only I open my awareness to it. I'm not sure, like Keats, if that's all there is, truth and beauty. But at the moment, it's plenty.